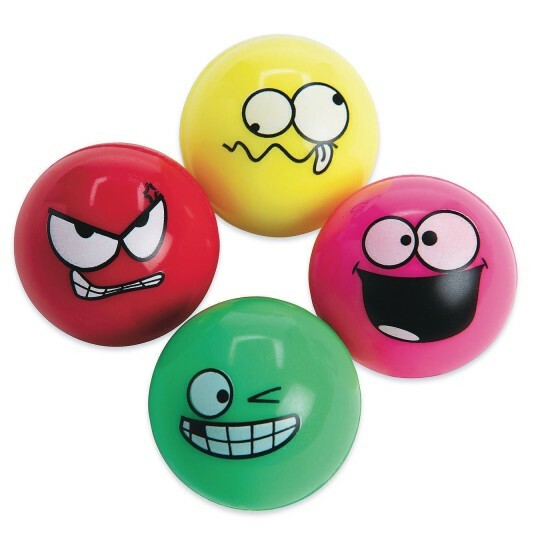 Fun & exciting bouncy balls! Bounce 'em, roll 'em, throw 'em! Hours of fun and excitement are built into each bouncy ball. Great for goodie bag fillers, classroom reward buckets, piñata fillers, carnival prizes and more! They’re also fun at outdoor events like picnics, sporting events and reunions. 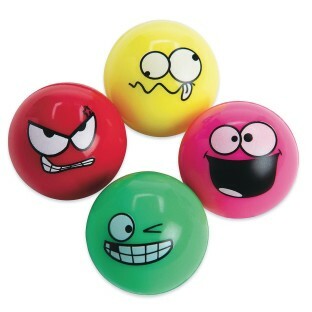 Four different funny faces in 4 assorted colors (Pink, Red, Green & Yellow).